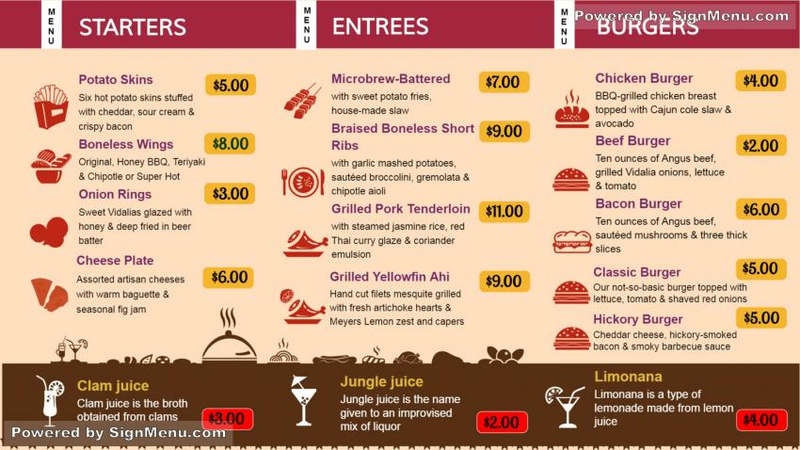 this template is best presented on a digital menu board indoors or just outside the restaurant, so that people passing by can come in for a bite or meal any time of the day. digital signage screens today present the best visuals, particularly of fast food restaurants. And when complimented by moving images and videos, the impact is really stupendous. This template is ready for download and use.